Found in swaddling clothes in Area 51! 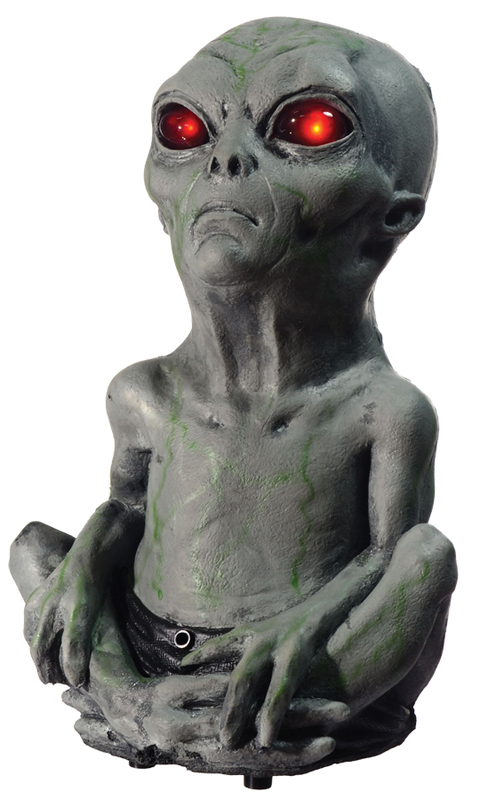 Foam-filled latex alien baby character with motion-activated lights & sounds, battery-operated. Uses 3 AA batteries (not included). Height is about 14 inches.